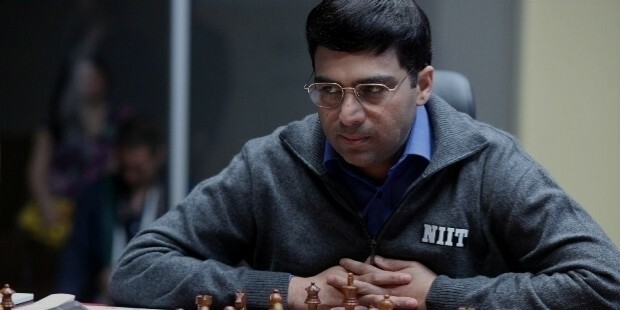 Viswanathan Anand is a former World Chess Champion hailing from India. He is considered as the best rapid chess player of his generation. He has been the undisputed World Chess Champion from 2007 to 2013. He has won the World Chess Championship five times in 2000, 2007, 2008, 2010 and 2012. He has also won the Chess Oscar 6 times in his career (1997, 1998, 2003, 2004, 2007 and 2008). He is only one of six players to break the 2800 mark on the FIDE rating list. He has been the number one player in the world for a total of 15 months. Anand was born on December 11, 1969 in Mayiladuthurai, Tamil Nadu. He was raised up in Chennai studying at the Don Bosco Matriculation Higher Secondary School. 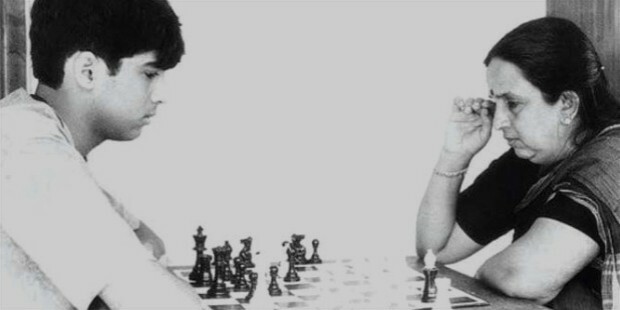 He was taught to play chess at the age of 6 by his mother. His mother used to help him solve chess puzzles that he found difficult. As his talent was spotted he was taken to the Philippines for further training. 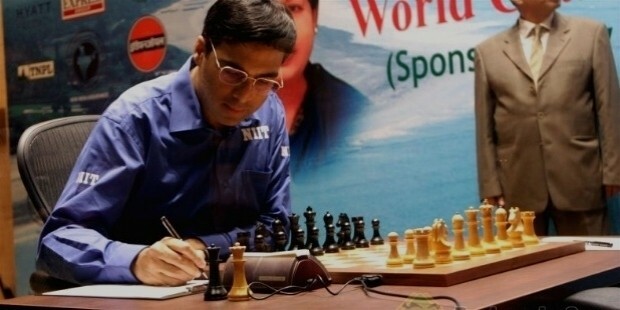 After one year abroad he came back to India and took up chess as his career. By the time he reached the age of 25 he had won tournaments that had featured heavyweights like Garry Kasparov and Anatoly Karpov. He was seen as a rising star in the world of chess but did not yet achieve any major titles. But his persistence paid off when he won the FIDE World Chess Championship in the year 2000. 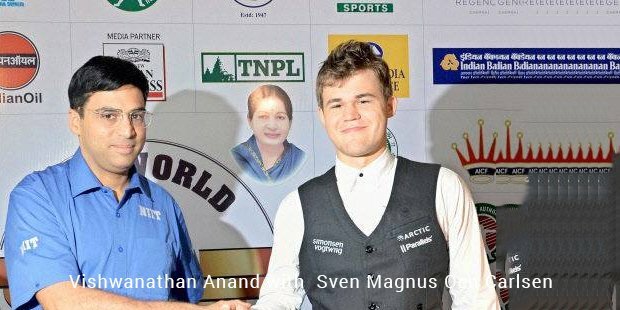 A new star was born in Chess from a lesser known country like India. 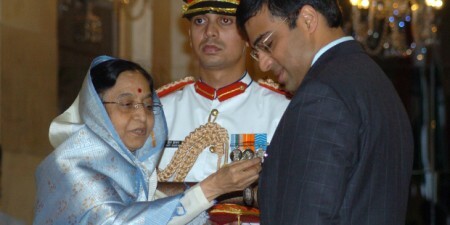 But Anand was unable to defend the title in 2002 which came as a slight disappointment to his supporters. He was constantly in search of another World title and it was realised in 2007 when won the round robin tournament ahead of Vladimir Kramnik and Boris Gelfand by a mere one point. He was now the undisputed Chess Champion of the world. In 2008 he was able to successfully defend his World title against Kramnik beating him by 6.5-4.5 points. In 2010 he was back to defending his World title against challenger Veselin Topalov. His calm and sober nature has made him highly respected sportsman around the world. This was reflected when fellow champions like Magnus Carlsen, Vladimir Kramnik and Garry Kasparov came ahead to help him prepare for his 2010 title defence. Viswanathan Anand is a very mild manneres and unassuming person. He refrains from and political and psychological issues and prefers focussing on his game instead. His habits inclide swimming, reading and listening to music, aside from solvong puzzles. He is married to Aruna, and has a son who was born in 2011. In the competition that consisted of 12 games, the score was tied at 5.5-5.5 after 11 games. This meant that the last game could decide the World Championship. Anand rose to the occasion in spite of playing with black pieces to force Topalov to resign thus retaining the World Championship Title for the second time. 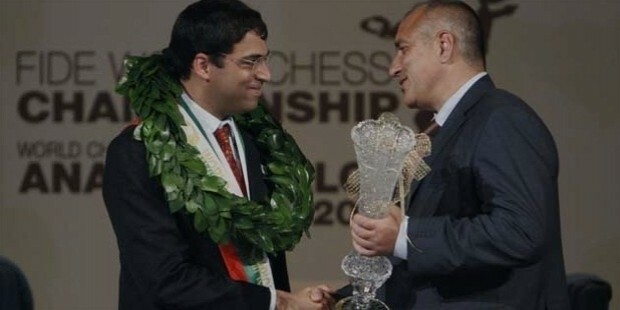 In 2012, Anand was back to defend his title against challenger Boris Gelfand. After the completion of 12 matches the score stood at 6-6. The match went into a rapid tie-break where Anand won 2.5-1.5 retaining his title for the third time. 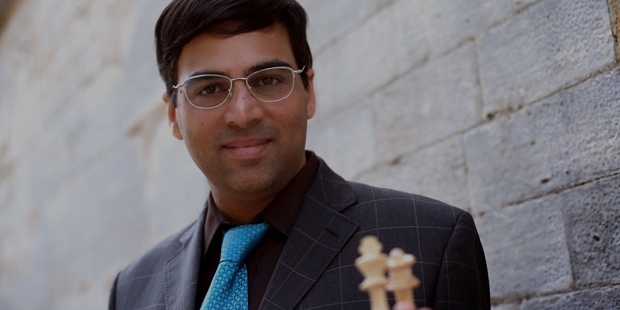 In 2013, Anand lost his World Championship defence to challenge Magnus Carlsen 6.5-3.5. He dominated chess for many years reigning as the undisputed World Chess Champion from 2007-2013. He has been the winner of three consecutive Advanced Chess tournaments making him the best Advanced Chess player in the world. His collection of titles makes him one of the most successful chess players of all time. He has won the prestigious Corus chess tournament five times. He has won the Linares and Dortmund tournaments considered to be the most difficult tournaments in the world, three times each. He has been regarded the greatest rapid player ever and has been able to win the Blindfold and Rapid Chess Championships, a record five times. His achievements have inspired a country of billions to take interest in sports. Despite being from a developing country, Anand has gone on to achieve the highest laurels in the field of Chess and made his country proud.